Torch on Membrane is considered to be a very effective and useful waterproofing system that has become quite a popular and effective method these days. 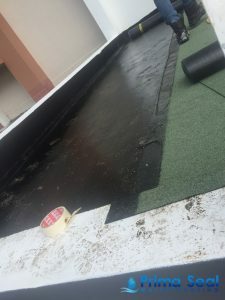 This kind of waterproofing method is usually used on flat roofs and balconies because of its proven durability. If you’re currently doing some research on different waterproofing methods and would like to know more about torch on membrane, then you’ve come to the right place! How Does Torch On Membrane Waterproofing Work? Bituminous torch on membrane works in such a way that a membrane is applied as a layer on a surface. This application is done using a heated torch, which then melts the layer of membrane. As mentioned earlier, torch on membrane is mostly suitable for concrete rooftops and balconies – areas that are likely to pool water. It can also be used and applied in planter boxes as well as serve as a waterproof insulation in water tanks. The membrane of this waterproofing system is considered to be spongy and flexible. It is made of bitumen as well as some crude oil-based hydrocarbon that is to be modified with asphalt. This asphalt takes the form of either Atactic Polypropylene Plastic or APP (a plastic modified asphalt) or Styrene Butadiene Styrene or SBS (a rubber modified asphalt). This useful mixture is then properly reinforced with a layer of polyester in order to provide it with some structural integrity. 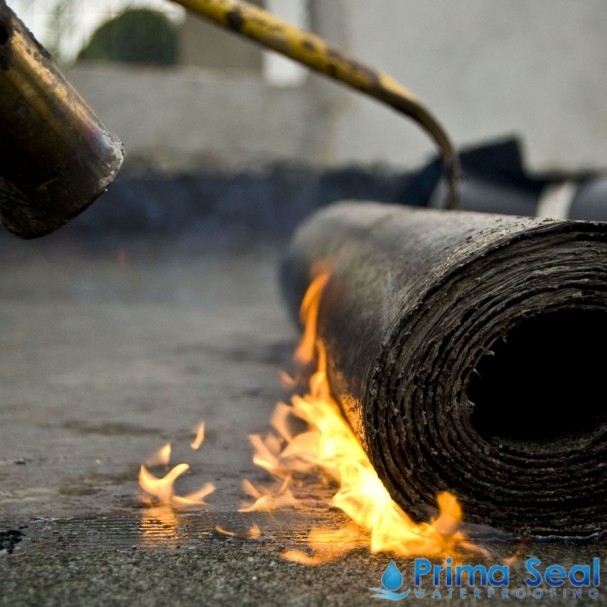 Both of these types of membranes are heat activated, and this is where a torch applied waterproofing membrane becomes more effective than other waterproofing methods. These two membranes can be joined together through properly heating the edges and eventually bonding them like the puzzle pieces. This is done in order to cover areas of different shapes and sizes. However, like any kind of method, these two membranes also have their own set of pros and cons. The AAP is likely to be heated using a torch, making for fast installation. But it happens to be comparatively less hardwearing and flexible. Meanwhile, SBS tends to have a longer lifespan as well as better flexibility even though it may take a while for it to get heated. This is the reason why torch on roof membrane works using SBS requires more installation time. 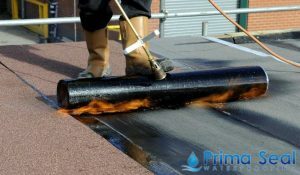 Not only is torch on membrane waterproofing considered to be an effective waterproofing method, but it is also known to be non-carcinogenic and non-toxic. Additionally, the waterproofed area also becomes non-water soluble and non-biodegradable.